October is the perfect time to look at the ‘tidy up’ jobs in the garden. If tree maintenance, basic chopping and cutting back are on the agenda then a Stihl petrol chainsaw in the ideal tool for the job. And now, as part of Stihl’s biggest ever chainsaw promotion when you purchase a new chainsaw you get all the essentials you need to get started, for free. 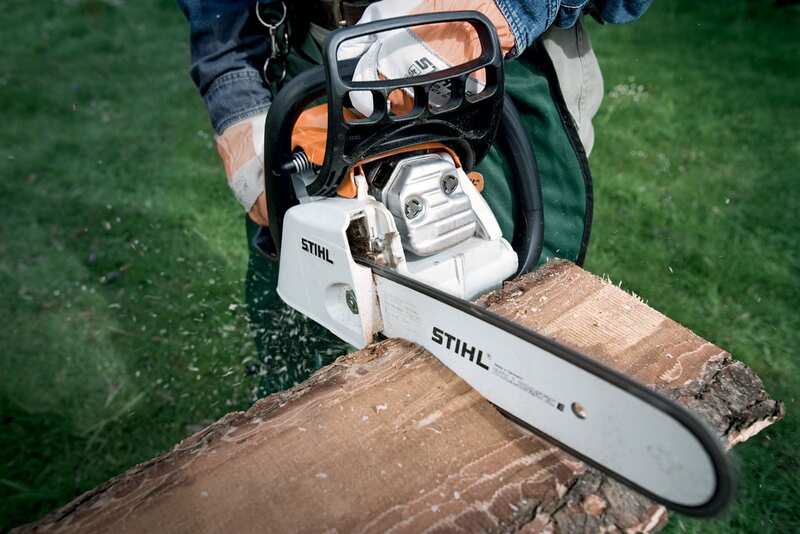 Stihl’s entry level range of petrol chainsaws a perfect for tree felling,cutting firewood and cleaning up the garden. The models in the range are built with the advanced technology and safety features that Stihl power tools are renowned for, whilst being easy handling. To get you started you will get; 1 litre MotoMix, 1 litre ForestPlus and a Handycut pruning saw (16cm) free when you buy any MS170, MS171, MS180 or MS181. All these chainsaws are available from C&O Garden Machinery at C&O Tractors, your local supplier of Stihl garden power tools and accessories. Safety is paramount when using any power tools. PPE (personal protective equipment) should be worn at all times. Talk to us to find the right protective equipment for you. Full details and terms and conditions are available on the Stihl website.